I have a great idea for some mason jar BBQ party favors for you today. Plus tons of links so you can throw the ultimate backyard BBQ for your friends and family. 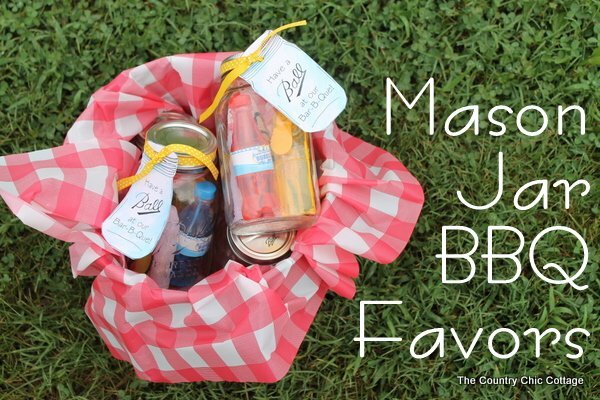 First lets make our super simple favors in a mason jar then I will give you the links for even more BBQ fun! 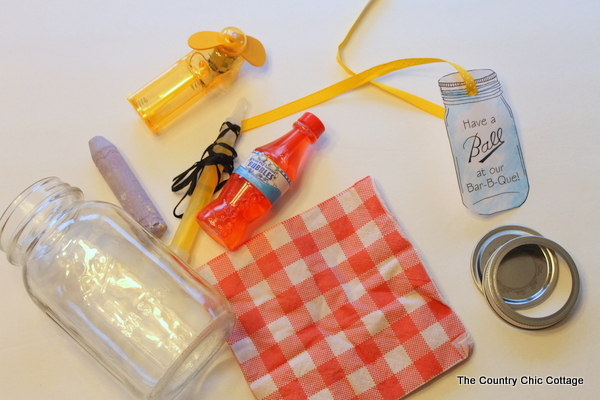 You can add a variety of great items to a mason jar for your guests. I have two versions of my printable mason jar favor tags. 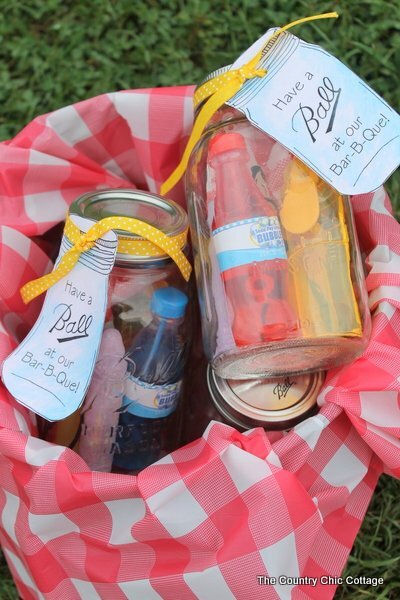 In my case, my favors are intended to be given out at the beginning of the party cause they are full of things to keep the kids occupied during the BBQ. If your favors are meant to be given at the end for your guests to take home use the other printable tag. I added a battery operated fan, sidewalk chalk, bubbles, and glow sticks to my quart sized mason jars. I put in a checked napkin to give the jar a little color. I then tied on my tags with some ribbon. 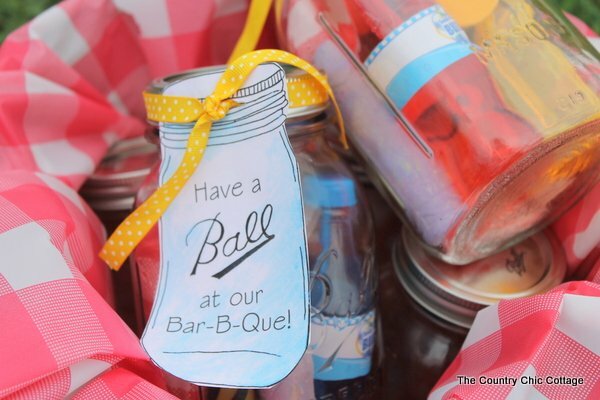 I lined a pail with a red checked table cloth and piled my mason jar BBQ party favors inside for my guests to grab when they arrive at my party. Just a little gift to make sure the kids are occupied and the adults get a chance to have some fun! 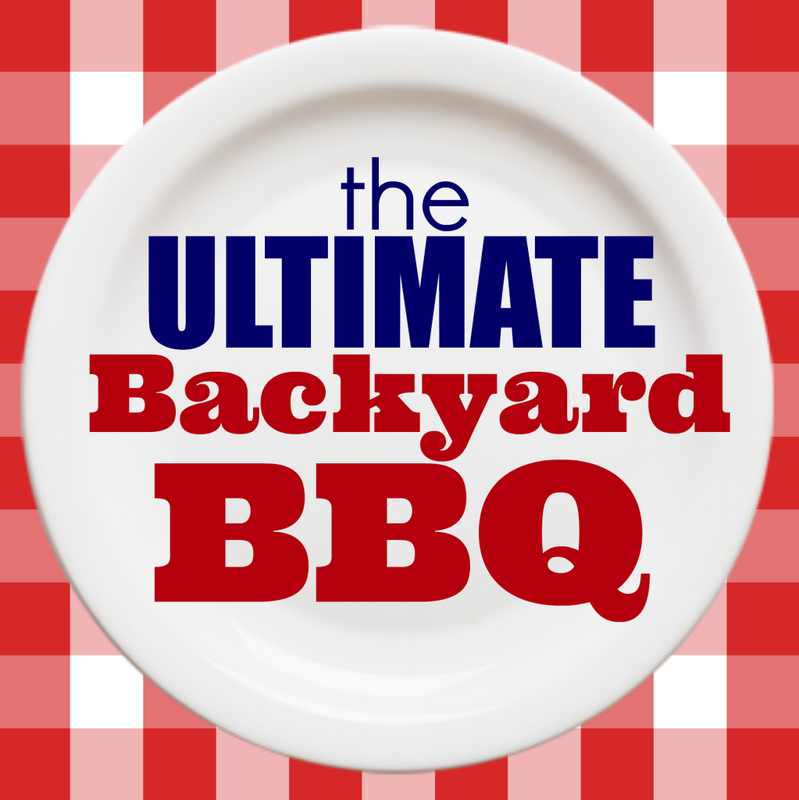 Now that you have my favor ideas for your BBQ, you are one step closer to throwing the ultimate backyard BBQ! I have gathered up tons of links from my blog friends to help you throw the best BBQ on the block! Head on over to the links below and get started with your party plan today. These are all so absolutely fantastic, will be fun to put together. I need to get me some of the commemorative jars to use. Too bad they come with the zinc lids tho, dadgumit. Thanks so much for sharing all these wonderful printables. I am having such a good time thinking of all the fun somebody would have giving these all out at a BBQ party. Think I’ll make some up to see if some folks might want to buy them for a party. We’re about to put our stuff in a great craft boutique to sell so this might be a great item to start with. Will advertise them on Craigs list for our area also. Need to get a camera tho so I can enclose pics with in my ads. That’s one big thing that’s been stopping us from selling our goods. We’ve been working on building up some inventory. Have so many ideas for things to make I can hardly sleep at night. Thanks again.